"A-Z Site Assessment for Plantations"
"Opportunities in Rubber Plantation Investments in Frontier Market Myanmar"
"Innovations in Plantation & Harvesting Techniques for Increased Yield"
"Myanmar's rubber production went up by over 40,000 tons, reaching over 100,000 tons in the fiscal year 2011-12 from over 60,000 tons in 2005-06. Rubber grows well in Tanintharyi region, Kachin, Kayin and Shan states where planting of rubber is being transformed from a small scale to a commercial scale." Myanmar is rapidly emerging as the destination of choice for natural rubber investments. Suitable agro-climatic conditions and plenty of denuded forestland that can be converted into valuable farming area are shifting rubber plantations to a more commercial scale. Furthermore, the recently enacted foreign investment law is attracting natural rubber producing countries such as Thailand, Malaysia, China and Vietnam to seek investment opportunities in Myanmar. Neighboring countries such as Laos, Cambodia and Philippines are also seeing growing potential in increasing rubber output as the governments initiate roadmaps to develop the rubber industries and facilitate direct market access to tire and other natural rubber-based manufacturers. Driven by global demand and mainly by the tire industry, natural rubber is a valuable commodity and plantations and processing facilities are continuously striving to increase yield, enhance productivity and improve quality to meet compliance and global standards. "The Philippine rubber industry is looking to increase its domestic share to 50 percent by 2016, with public and private sector vowing support for the industry's development..."
How will the new Myanmar shift global rubber demand/supply in the long run? 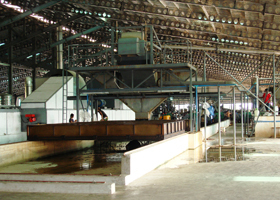 What are the opportunities and challenges to develop rubber on a commercial scale in Myanmar? How can plantations increase productivity and what are the best practices? CMT's 3rd RubberPLANT Summit continues to explore new opportunities in natural rubber growing countries as well as pertinent issues concerning natural rubber price, plantation techniques and productivity! Dr Tin Maung Aye originates from Myanmar and graduated with a MSc in Agriculture Systems and a PhD in Soil Science from the Massey University in New Zealand. He has worked as a technician at LandCare Research and as a research assistant for Massey University, New Zealand and also was a part-time farmer for orchards in New Zealand. He did his Post-Doctoral and research fellow with Melbourne University, Australia on fertilizers and irrigated pasture systems for dairy production. Although he is currently a Cassava Agronomist / Soil Scientist for International Center for Tropical Agriculture, CIAT in Asia, Tin is very familiar with plantation and farming practices and travels extensively around the region providing trainings and consultancy on sustainable farming practices, yield improvement, and advises on crop suitability in specific agro-ecological zones. Meet & Network with Senior Officials from the Ministry of Agriculture & Irrigation Myanmar! A delegation of 16 officials from rubber producing states of Kachin, Shan, Mon, Tanintharyi, Rakhine, etc., headed by the Director of Industrial Crop Development will be attending 3rd RubberPLANT Summit. Meet them in person to clarify and discuss issues pertaining to Myanmar's natural rubber sector. Limited seats available, so hurry! CMT is an active global conference organizer and since 1982 supports business development across Asia, MidEast/Africa and the Americas. Recent political and economic reforms in Myanmar are very encouraging with the country favored as the rising star in Asia...CMT is contributing by bringing business and investments to the country with events that offer vital business intelligence. CMT covers all the key sectors - Energy, Mining, Agriculture, Real Estate, Infrastructure, Finance, Power,Telecoms and many more. Talk to us for a customized Sponsorship or to book your Exhibition space now! Experiments in South China as well as extensive research on intercropping have shown that greater yield is achievable on a single piece of land. With careful planning and consideration of factors such as soil, climate, crops and varieties, intercropping is highly achievable and can help rubber farmers significantly. 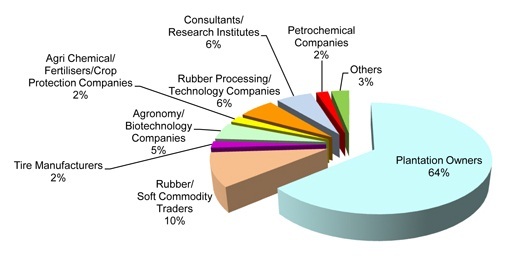 Rubber investment has been on the rise especially in Asian countries such as Cambodia where industry witnessed significant increase in rubber investment of more than 100%. A key economic crop, rubber plays an important role in Cambodia’s economy and is hence essential for it to be economically viable and sustainable, especially when the first five to eight years warrant neither yield nor return. With continuous research, companies such as Green Asia Global have come up with expertise in agroforestry including the field of intercropping common crops including sweet potatoes, cassava and maize. For a full program outline, please click here. Contact Ms. Maureen at maureen@cmtsp.com.sg or Tel. 65 6346 9145 for more information or enquiries on the summit. Opportunities abound in Myanmar following the country’s economic liberation. Owing to its suitable agro-climatic conditions and vast bare lands, especially the middle region, Myanmar is fast emerging as the choice destination for rubber investments. Felda Global Ventures (FGV) Holdings is one that is taking advantage of the economic and business opportunities that Myanmar presents. The group has plans to develop its three core businesses in Myanmar, including rubber, palm oil and sugar cane. FGV has successfully reached an agreement and signed the MoU with local partner, Pho La Min Trading Ltd, in the exploration of rubber plantations and rubber processing in Myanmar. With this, FGV plans to first establish the processing plant before moving on to the growing of rubber trees in Myeik on a vast 30,000 hectares land, and finally to downstream opportunities including tire manufacturing and the rubber gloves market. Market demands will see a spike once other sectors such as infrastructure, transportation and healthcare are developed. Gaining first mover advantage, FGV will benefit from their early entrance into the Myanmar market. More on the opportunities and challenges of Myanmar’s rubber scene as well as innovations updates at the industry event of the year, the 3rd RubberPlant Summit. For more information or enquiries on the summit, please contact Ms. Maureen at maureen@cmtsp.com.sg or Tel. 65 6346 9145.